CMS VATAVARAN’s Technical Advisory Group planned and supported the festival programme team to curate the forums and discussions. Some of them were present as moderators and speakers in sessions and workshops held during the film festival and forum from Oct 09 – 12, 2015. Ms. Dutt is a wildlife conservationist by training. 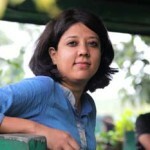 She first earned a degree in social work from University of Delhi. She then pursued wildlife conservation at the Durrell Institute of Conservation and Ecology from the University of Kent and earned her MSc degree. 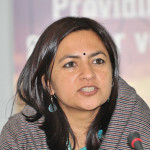 She has worked for the last ten years on crucial wildlife conservation projects in India and abroad. She has many scientific and popular papers on wildlife conservation to her credit and has studied a highly endangered Amazonian primate species at Jersey Zoo and was involved in assessing the conditions for release of the endangered primates in the Amazon forests. At CNN-IBN, she has traversed the length and breadth of India’s wilderness and highlighted the underbelly of Indian politics, business, and the wildlife trade. She has over 10 awards to her credit including the Ramnath Goenka Award in 2006, the Wildscreen Award, UK and the Young Environment Journalist Award 2007. She recently released her book, Green Wars. The book draws on her experience as a conservationist to look at how the tension between a modernising economy and saving the planet can be resolved. 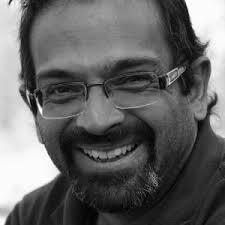 Joydeep Gupta is Director, South Asia of Third Pole and India Climate Dialogue. He writes on climate change, water, biodiversity, pollution, and sustainable development, and has covered global summits on environmental issues. Additionally, Mr Gupta trains journalists to improve their environmental reporting practices. He has reported for Indo-Asian News Service, the Statesman, Sunday Mail, and the Sunday Observer. He is Vice President of the Forum of Environmental Journalists in India. Ms Majumdar leads the team on research related to sustainable urban development, transportation systems, and habitats in TERI. She is an Architect-Building Technology professional with specialization in energy efficiency and development of sustainable habitats, with over 17 years of experience in the field of energy and environment with core expertise in sustainable development of habitat and buildings. Ms Majumdar has been involved in several policy initiatives to mainstream sustainable buildings in India. 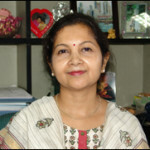 Furthermore, as a member of several national and regional level expert committees, she has contributed significantly to the development of relevant codes and standards (Energy Conservation Building Code, Guidelines for Environmental Clearance of large construction projects, National Building Code 2005) in the country. She has been instrumental in leading the initiative on development of GRIHA (Green Rating for Integrated Habitat Assessment) that has now been adopted as a National Green Building Rating System. Mr Jacob has more than 28 years of experience as a policy analyst, research and documentation expert and journalist. He has domain knowledge of the water and waste water sector. Currently as the Head of Policy for WaterAid, he is responsible for policy analysis and leads the organization’s engagement with the Union and state Governments. He has developed communication strategies for the Central and state governments such as the Ministry of Drinking Water and Sanitation. Mr Jacob designed and implemented training programmes for NGOs and government staff on rural drinking water, waste water treatment and media skills in various states.